This decorative plant grows to a height of 12-16 inches. 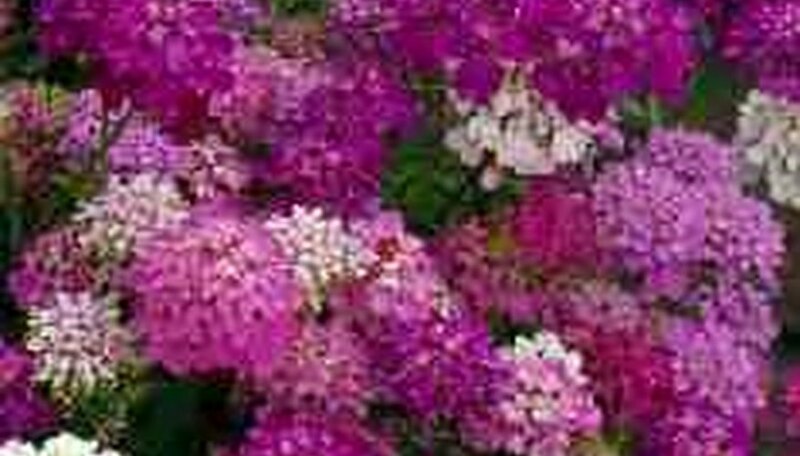 Flowers range in color from white, pink and mauve to purple. Candytuft makes a great cutflower. Cut the flowers when well-formed but not overmature early in the day and soak in water immediately. It tolerates a wide range of climatic conditions but needs a sunny location and well-composted, alkaline soil. Seeds are sown in early spring in most areas, but can be sown in late spring or early summer in cold climate areas. It's best to start the seeds directly in the garden. If starting indoors, use peat or fiber pots to minimize disturbance when transplanting. Space plants 6-8 inches apart for the best display. Water regularly to establish, then once a week thereafter. Do not waterlog. For abundant flowers, apply compost or other fertilizer monthly.